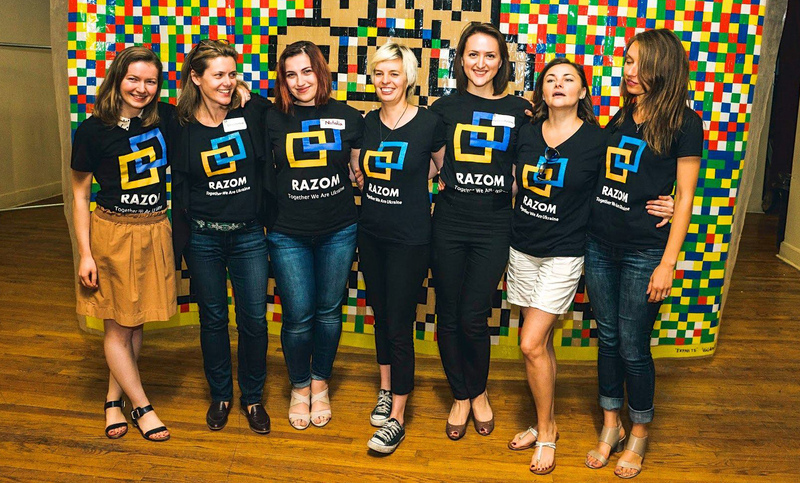 Lyuba Shipovich a co-founder of the Ukrainian-American human rights organization “RAZOM” in New York. Disappointed with Ukrainian politics after Maidan 2004 she immigrated to the United States. During the Ukrainian Revolution of Dignity in 2014, gathered the Ukrainian diaspora to fundraise for the protesters. 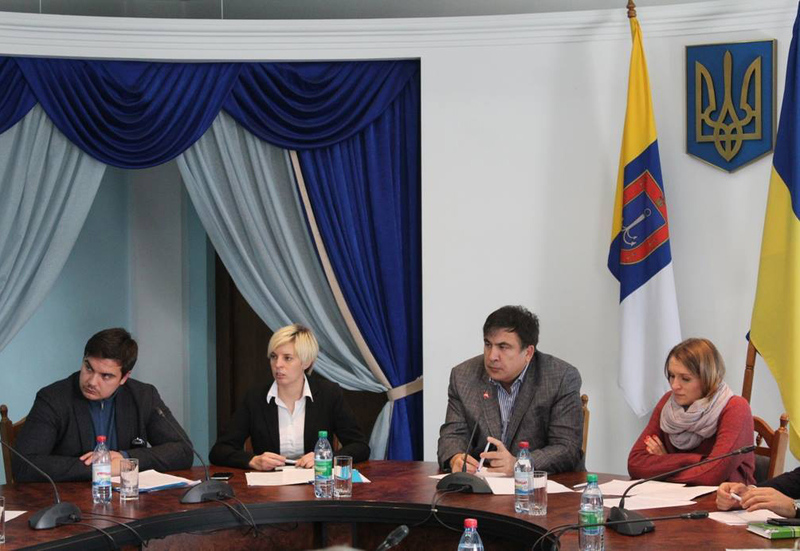 Later established the “Razom” human rights organization to help ATO zone victims and military hospitals. In 2015, she came back to Ukraine to work with Mikhail Saakashvili’s team in the Odessa region. When M.Saakashvili’s team was attacked by the corrupted government of Ukraine, Lyuba returned to the United States. – When we met, it was 2014. 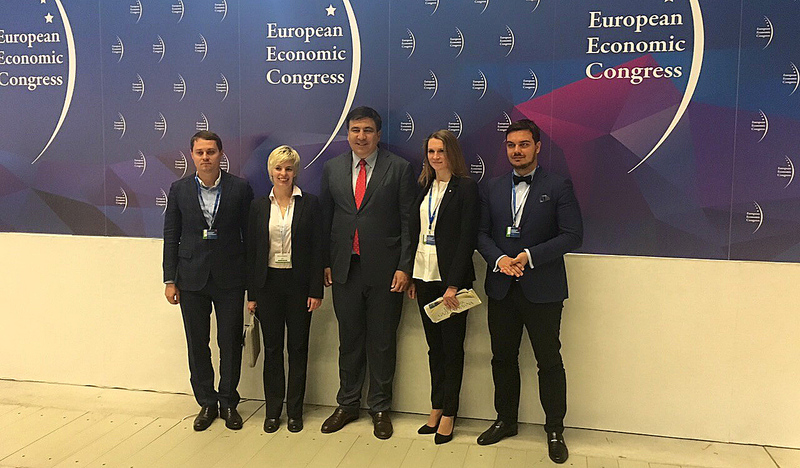 Back then, you believed that Ukraine could become a prosperous European country after the Maidan revolution. What’s your vision now? – I still believe Ukraine can do it. It has potential. But the question is how efficiently it uses its potential. Nobody believes that it’s a matter of several months to reach the development levels of neighboring Western countries. It will surely take years. Just compare the economic development level of Ukraine in 2014 with an almost empty budget and the current economic background. I believe there is a big difference not only in the economic area but also in other areas where reforms have been launched. The fact that they are insufficient and not always effective is another issue. Nevertheless, we are witnessing progress, that’s for sure. 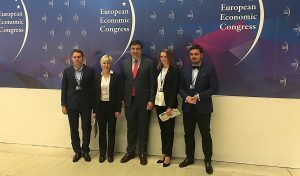 – In 2015, you left a pretty good job in IT and started to work at the Odessa Regional State Administration, joining Mikhail Saakashvili’s team. How did your financial status change if compared with your life in the US? – When I left for Ukraine, I believed my savings would be enough to last me for a year without a job, so, I could devote that time to Ukraine. Actually, I did so. However, even though I had enough money for one year and a half, I still had to go back and make money. I can’t quite comprehend how the people who left their jobs in 2014 and started to work in government agencies could earn their living, receiving wages of $100 a month. For example, you have to pay more than $100 a month to rent an apartment in Kyiv. It’s difficult to understand, and so, speculations about bribes may appear. I personally didn’t see anybody to take bribes, but, when I was engaged in the public service, some people offered me a bribe. Of course, I didn’t accept the offer. The public service was solely volunteering for me. – Did you achieve the plans you had when you went to work in Saakashvili’s team to Odessa? – First of all, I offered to introduce a number of electronic services and e-government opportunities. Yes, we’ve managed to achieve definitive results. In particular, the Odessa Regional State Administration switched to electronic workflow. The Google Apps for Education platform has been introduced in schools of the Odessa region. It allows teachers, schoolchildren, and parents to access Google classes, Google diaries, and so on. In addition, virtual 3D maps of the Odessa region have been developed. In cooperation with Google, we’ve created virtual regional site tours. We’ve also created an interactive map showing investment projects and a number of electronic services for the customs service. After I spent 9 months in Odessa, Mikheil Saakashvili asked me to take charge of the Investments Agency which was responsible for the economic and investment component of the region. While working in this department, we managed to attract $650-million investments. I never planned this results, but it became possible while I tried to comply with Mikheil Saakashvili’s request. – As of 2018, Petro Poroshenko actually got rid of all romantic reformers willing to implement reforms. The authorities of Ukraine discredited most of them, and they left. What actions do you think should have been taken in early 2014 to prevent things that happened? – We would be doing guesswork if we talked about it. As the Ukrainian saying by Ostap Vyshnya puts it, “Yakby zh znattya” (I wish I knew). What would we do if we had done otherwise! It would be just speculation. However, in the first place, it was necessary to use that short time period after the Maidan revolution. It was the time when the old oligarchic authorities were afraid and when they behaved a little bit quieter than ever, people could simply prevent their return to power and the political life of the country. Young romantic reformers succumbed to the assurance that the old functionaries had much experience and “knew things better”. However, I think that it was better to make mistakes for the next 5 years than to forsake the power to the old oligarchic politicians. – Nowadays, Ukraine experiences a tendency of IT sphere development. Young people are trying to get a qualification in this sphere and leave the country to work abroad. Many people provide outsourcing services for American and European companies in hope to emigrate. How do you feel about the fact that the country is actually losing its best minds? – This is a problem that many countries experience, especially those which one way or another are globalizing. After all, Poland also had a pressing problem with out-migration after joining the EU, and Poland found out a way of this situation by simplifying the work visa-issuance process for Ukrainians. So, Poland compensates its lost labor resources, attracting Ukrainians. Ukraine experiences a similar situation – the country loses people. In some ways, this phenomenon is related to war. However, to a greater extent, the reason is that people get an opportunity to work in economically more developed countries now. IT professionals have the advantage – they are able to communicate in English, and they have a job that has no boundaries. Ukraine doesn’t provide any programs for IT specialists, which could stop their emigration. I was talking about this issue with the representatives of the Ministry of Education and the Ministry of Foreign Affairs, but they answered, “The time is not right.” I think we may witness a catastrophic situation when the number of retirement-age people will exceed the number of working people paying taxes. – Not all emigrants leave Ukraine for the sake of higher wages. Many of them are also afraid of low human rights standards, high corruption levels, and social injustice. Do you think Ukraine has a chance to correct this situation in 2019 or is it all hopeless? – First of all, I don’t think there is a massive wave of political immigration from Ukraine. In most cases people do emigrate because of economic reasons looking for better jobs, higher salaries etc. Though political persecution is still the case in Ukraine. We’ve seen how civil activists had been attacked and even killed because of their activism and most of these crimes were not investigated properly. Still I want to be optimistic and believe that the pressure of the civil society and high attention of human rights organizations will make the work and some day both the executors and instigators of those crimes will be convicted and will be liable for their actions. – When you worked at Saakashvili’s team in Ukraine, someone tried to discredit you through the tax service. Tell us about it. – They started to discredit me using planted scenes on TV. It all started when we were trying to solve problems of land intended use. This way we hurt the interests of certain oligarchic groups as we worked to abolish fictitious tenders. So, a series of plated scenes with false and corrupted information appeared on TV. When I already returned to the USA, my parents in Ukraine received strange letters from the Ukrainian Tax Office. The State Fiscal Service (SFS) asked me to show my banking transactions for 10 years of my residence in Ukraine. Later, my lawyers figured out that the tax agency didn’t have the right to do so. Tax authorities could have issued such a request solely by a court decision in case there were reasonable grounds to retrieve such information. My lawyers advised me not to communicate with tax officials at all since their request is completely unlawful. This matter went silent only after journalists had visited the SFS office. – Do you still feel aggrieved for your name being dragged through the mire when in fact you moved to Ukraine with pure intentions? – No grievance at all! I knew where I was going. I had lived in Ukraine before that and I knew what to expect, especially when you start fighting against the oligarchic clans. Therefore, I didn’t feel aggrieved. On the contrary, I would have been very much surprised if there had been no counteraction since that would mean my work was inefficient. 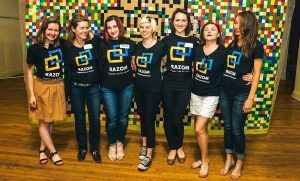 – You are a Co-founder of the “Razom for Ukraine” society in New York. You help Ukrainian veterans and promote Ukraine’s interests in the US. You probably talk with American politicians and experts as well. What is these people’s attitude to Ukraine now if you compare 2014 and 2018? – If we compare 2014 and 2018, there was a higher level of confidence to official representatives of the Ukrainian government in 2014. Indeed, official Washington DC and international institutions had some confidence. Now, the situation is different, and we felt it after the Invisible Battalion visit. When the veteran girls came here, people listened to them with much greater confidence and interest than to politicians. All are tired of the politicians already. Politicians talk controversially. Delegations from different Ukrainian political parties regularly visit Washington DC and their visions contradict each other. They go negative on each other, and American politicians are tired of that. Now, veterans and civil society representatives are more likely to have credibility. They started listening more to people on the ground rather than to official authorities. – Nowadays, the situation is very much similar to the one we had after the Maidan revolution in 2004. You took part in that revolution as well, but then you became disillusioned and emigrated. After the Maidan in 2014, you tried to go back, but again, you returned to the US disillusioned. Will you make another attempt or shut a door on your attempts? – In 2004, I was just 20. My youthful exuberance made me believe in the changes that were taking place, in politicians, and in Vladislav Kaskiv’s “Yellow time”. When politicians betray you when you are just 20, you are very much disappointed. My disappointment was especially strong when I witnessed the Yanukovych’s return to power, directed by President Yushchenko. However, during the Orange Maidan Revolution, Yushchenko personally persuaded us that Yanukovych was the most grievous criminal possible. Of course, I was disappointed in the state and in those ideals that I believed in. I really left Ukraine very easily. Nothing was holding me there. After the Dignity Revolution in 2014, I wasn’t disappointed as I was a mature adult, was experienced, and no ideals allured me anymore. So, I evaluated the situation absolutely critically. When I traveled back to Ukraine, I knew there could be some issues, and I went back to America not because I was disappointed but because I planned to do so – to go to Ukraine for a year, return back to America, and work there, helping Ukraine. If I had a funding source that wouldn’t need my presence here, I would have already gone. So, I’m uncertain whether I will be able to sustain myself in Ukraine and avoid testing my conscience. I believe I would go to work in Ukraine but definitely not right now.